Don't forget while you're here to check out my giveaway for a Toy Story Buzz & Woody pair of Vinylmation figures! Odds are really good right now...make sure you get yourself entered and share the giveaway with friends and family too! I love the fireworks shows that Walt Disney World puts on. They do a fantastic job, syncing to the music and setting off some really cool shapes. Other than the holiday fireworks shows which go many steps beyond amazing (New Years Eve, 4th of July, Happy Hallowishes and Holiday Wishes), my favorite is the Wishes fireworks display at the Magic Kingdom, with Illuminations my second choice (sorry Fantasmic, though you're pretty cool too). When choosing a viewing spot for Wishes while inside of the park (or any other fireworks display at the Magic Kingdom), try a spot off to the side if you want to be close to the castle. Better yet, if you'd really like that full castle-facing view, back up to right near Casey's Corner or the Plaza Ice Cream Parlor...then you'll be able to see those lower-hanging fireworks and get a full view of the castle as well. A great option is to get snacks or a meal from one of those places, grab one of the tables that are right there and enjoy your food while watching. Some people will go as far back as the 2nd floor of the train station for an even wider view of the show. Wherever you decide to watch, enjoy the show--WDW puts on some of the best fireworks displays you'll ever see...sprinkled with some extra pixie dust of course! Don't forget...the latest giveaway for a Toy Story Buzz and Woody pair of Vinylmation figures is now open! Be sure to check out the giveaway blog post and enter using the Rafflecopter form at the end of the post...and of course, please share with friends and family! Good luck all! 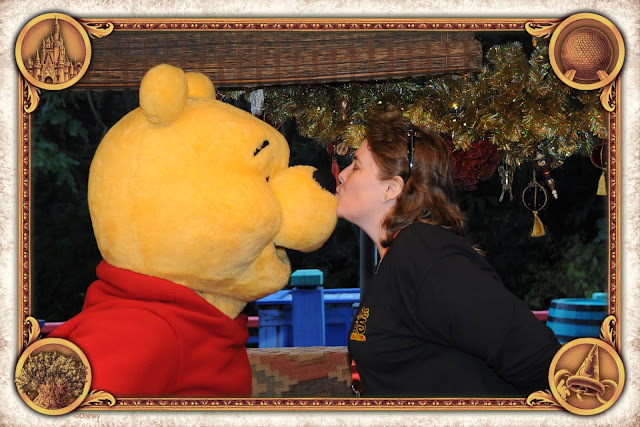 -You'll see multiple characters throughout your meal-for example, at the Crystal Palace in the Magic Kingdom, you'll usually see Winnie the Pooh, Tigger, Piglet and Eeyore. -The characters make the rounds through the dining room so they actually come to your table...that's right, they come to YOU! -Many character meals are buffets, so even if you have to pay more for the meal, you can eat as much as you want. A great way to use this to the fullest is by having your meal a lot earlier or a lot later than the traditional mealtime (example-a 10:30am breakfast) and eating a big meal so it will last you quite a while. With the 10:30am breakfast example, you could have one or two small, filling snacks (instead of lunch) later that afternoon, then have an earlier dinner...even though you pay more for than breakfast, you have one less meal to pay for overall. So next time you're at WDW, try a character meal (and yes, most character meals are still just one table service credit on the Dining Plan if you're using it! )...you'll find that you can save time and energy while getting to see many characters at once in a relaxed, indoor, air-conditioned setting. Have you done a character meal before? Which one is your favorite? Where am I and what exactly are we looking at? Once you have the answer, comment below with your favorite attraction and/or restaurant in this park. Have you heard these before? “I don’t need reservations for dining, I have the dining plan” or “You don’t need reservations for table service restaurants, you can always just walk up and get seated”? Yup, I hear these quite a lot actually. The reality? The total opposite is quite often true. 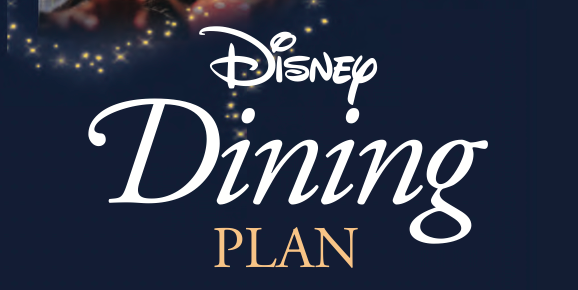 Do you have the Dining Plan? Make sure you get to use your credits! First-what’s the difference between Quick Service and Table Service restaurants? Think of it like this...Quick Service is like a fast food restaurant-you place your order, pick it up at a counter, then seat yourself and clean up after yourself. Table service is like a casual dining restaurant-a host seats you, you have a server that takes your order, brings your food and clears your table. Quick Service is just that-meant to be fast to get you in and get you back out again as speedily as possible. Table service allows you time to sit back and relax, allowing you to dine at a more leisurely pace. The very nature of Table Service (taking longer to have your meal than Quick Service) means there are less available seatings for these types of restaurants. 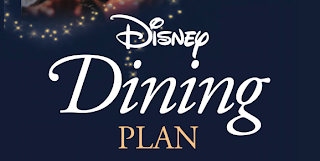 And with thousands of guests on the dining plan...and thousands more who aren’t but still want to eat at WDW’s yummy and very popular Tables Service locations, making Advanced Dining Reservations (ADRs) has gone from a “just in case” idea to a necessity. Especially when those Free Dining promotions are running! Character meals get booked up pretty quickly-make your ADR early! Here’s your tip...you can make your ADRs up to 180 days in advance of your visit. The most popular restaurants and prime meal times will fill up quickly like Be Our Guest, Le Cellier and any character meals, so if eating at a particular restaurant or during a particular time of day is important to you, be ready to go online (6am disneyworld.com/dining) or call in (7am 407-WDW-DINE) to make your reservations. There are a handful of restaurants that don’t take ADRs such as the ESPN Club, Big River Grille & Brewing Works, Kouzzina by Cat Cora and Beaches & Cream Soda Shop...but for the most part, if it’s a Table Service restaurant at WDW, you should be able to make an ADR. After all, you don’t want to let those Table Service credits go to waste, right? While you could use a Table Service credit for a Quick Service meal if there was absolutely no Table Service restaurant available, you’d be wasting the value of that Table Service meal. So, do a little pre-vacation planning to choose where and when you’d like to spend those Table Service credits and be sure to make those ADRs as soon as the 180 day point hits. Did you know...if you book your trip through me, I’d be glad to help you with those ADRs too!